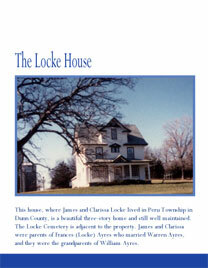 This house, where James and Clarissa Locke lived in Peru Township in Dunn County, is a beautiful three-story home and still well maintained. The Locke Cemetery is adjacent to the property. 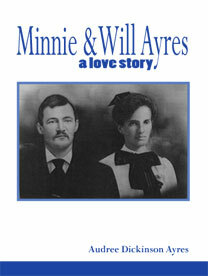 James and Clarissa were parents of Frances (Locke) Ayres who married Warren Ayres, and they were the grandparents of William Ayres.